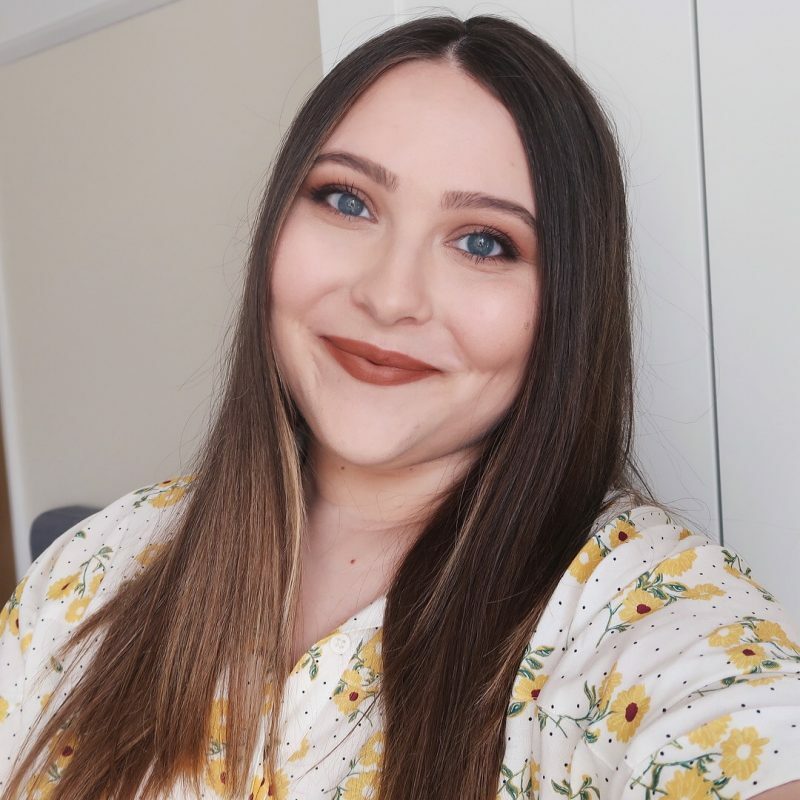 Last week, I’ve showed you my Inglot eye shadows that I absolutely adore – you can read a full review here – and I’ve also asked you if you want to see the swatches of my sister’s shades. Quite a few of you said yes, so today I’m here to show them to you. As you can see, my sister’s palette looks a little bit different. This is because a lady at the shop picked up the wrong one and we hadn’t noticed it until we came home and opened the package. She gave her a palette for circle eye shadows instead of the one for square eye shadows, so the shadows obviously didn’t fit. However, my sister managed to take the plastic part out and was left with three magnets and enough space, so it all worked out. The shades that she picked up are: 397, 355 and 357. They are very pigmented, just like mine. She uses these shadows every day and loves them! Her shades are perfect for natural looks, don’t you think so? Oh, and I have a little secret to tell you. I sometimes secretly use them too! Shhh, don’t tell her! I adore 355!!! I need it! Lol I use my sister's stuff all the time too! It's one of the best things about having a sister!